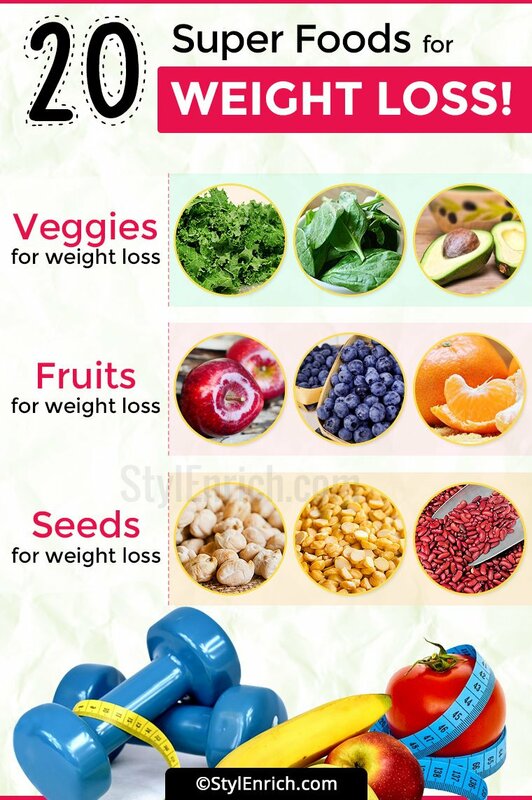 Foods For Weight Loss : 20 Best Superfoods To Lose Weight Fast! Super food is a marketing term for foods which have higher nutrient values as compared to other normal foods for weight loss. Though there is no scientific classification of superfoods the following properties make them eligible for that status. Most of the unprocessed foods are rated as super foods. Foods rich in antioxidants, Vitamin A, C, E, Omega 3 fatty acids and Flavonoids come under this category. These foods also contain many other vitamins, minerals, fiber and good fats which aid digestion and help in maintaining good metabolism in the body. Antioxidants protect the cells from damage due to free radicals which are chemicals generated within the cells. Consumption of super foods is believed to delay ageing, protect the body against diseases like diabetes, blood pressure and other ailments. Thus the foods are full of nutrition that enables you to live a long life rid of major diseases. They can easily made part of your daily meals like breakfast, lunch and dinner.Consuming them on a regular basis helps you to maintain your health and weight. Consuming them on a regular basis helps you to maintain your health and weight. So what better way to keep you slim? Achieving this through food is definitely a tried and tested way. So it is easy to adapt. So what fits the bill? 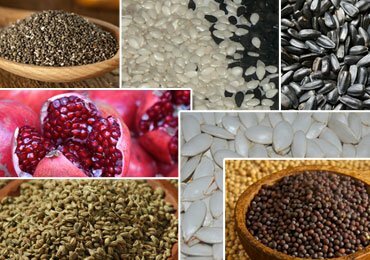 There are a number of foods which come under the umbrella of fruits, seafood, herbs, seeds, nuts and vegetables. Let’s have a look at 20 best foods for weight loss. Nature has given us abundant types of fruits which would enable us to lead a disease free life. Apples are loaded with antioxidants and phytonutrients that aid in fighting of free radicals. They also contain a good amount of fiber and vitamins. Eating an apple everyday will surely keep you healthy and fit in the long run. Eating apples makes you feel full since the skin contains fiber. Hence you tend to eat less food overall which brings in weight loss. Apples can be eaten as a snack or in between food since its calorie content is less. Watermelons are great hydrating fruits. They give you a feeling of fullness thus making you eat less for very few calories. Having sufficient water content in the body ensures proper metabolism in the body. The color red of watermelons is due to the antioxidant lycopene in it. Watermelons can be cut and juiced to be made into a cocktail by adding some nuts like almonds along with it. It could be consumed in between meals instead on munching on unhealthy snacks. Blueberries are some of the super berries for good health. Flavonoids present in blueberries reduce risks of heart ailments. Being low in calories, 1 cup of blueberries contain only 80 calories with 4 grams of fiber. They contain polyphenols which help in breaking down of fat cells and preventing new ones to form thus helping in weight loss. They are also low in sugar, sodium and cholesterol thus keeping sugar levels in a balance d state. They have a tart taste and can be used in the frozen state too. To eat a healthy breakfast you can take half a bowl of berries, sprinkle some cereal over it. Pour milk or yoghurt over this and have it for breakfast. Pomegranates help to satisfy your sweet taste buds. It is filled with folate and antioxidants. One cup of pomegranate seeds contains 6 grams of fiber and is only 144 calories. It is a good way to satisfy your hunger pangs. They can be easily added to salads in the place of nuts. These berries are juicy and have a tart taste. The berries offer only 23 calories and 3 grams of protein for one ounce of them. Thus they serve as a filling snack and to eat in between meals. They could be clubbed with other dry fruits to make a trail mix too. Oranges are great in nourishment and less on calories. An orange consists of 59 calories and abundant fiber. Thus consumption of oranges makes you feel full and satiated. Being easy to buy and cheap in cost, it is a seasonal fruit. They contain loads of vitamin C which aids in generation of carnitine in the body which reduces fat. Kale greens are one of the popular super foods for weight loss. A cup of kale consists of iron, calcium, 2 grams of protein, 1 gram of fiber which amounts to only 33 calories. It can be mixed with other vegetables while cooking or sautéed alone and eaten. Avocados contain healthy monounsaturated fats and are high on calories. They contain about 20 types of vitamins and minerals. They are rich in Vitamin C, B5, B6 and E. They also contain abundant amounts of potassium. Avocados are delicious in taste and highly nutritious. The pulp from the vegetable can be used as spread on sandwiches which is very filling. It is also used along with garlic, tomatoes and jalapeno to make guacamole which is a dip or kind of sauce to be eaten with nachos. Spinach is a common household green vegetable and one of the best foods for weight loss. It contains chlorophyll which is commonly seen in dark green vegetables. This aids in detoxification of the body. It contains iron, potassium, fiber and even proteins. It aids in oxygen flow to the body cells and avoids buildup of heavy metals in the body. Thus it acts as a detoxification agent. A smoothie made with fresh spinach leaves, fruit and a milk substitute is a healthy drink which can make you full and keep hunger at bay. Broccoli is touted as one of the best nutritional foods for weight loss that can be consumed. It is high in fiber and antioxidants. It also contains enough of calcium which aids in the absorption of iron. It also contains vitamin A and K and beta carotene. A cup of broccoli is just 44 calories. Broccoli can be stir-fried, made into soup or just plain steamed. It is delicious to eat and gives you the feeling of fullness which surely helps in weight loss in the long run. Quinoa is often mistaken for grains but these are seeds. It has increased protein content but is low on carbohydrates. It has 8 of the essential amino acids and hence is considered a complete protein food. Consumption of quinoa in the place of cereals or grains helps in reduction of body weight since the calories eaten are much less. When consume during workouts it helps in building of muscle mass and strength. It can be used in dishes like the way cereals or grains are used. It has a nutty taste and can easily take on flavors added. Chickpeas are great fillers. They contain abundant protein and fiber. That is 12 grams of protein and 11 grams of fiber in a cup of chickpeas. Hummus is a common bread spread made out of chickpeas which is healthy and filling. Steamed chickpeas, sautéed with a little oil, pepper, lime juice and salt can make a filling snack. For vegetarians, lentils are a good source of protein. A cup of lentils consists of 18 grams of protein and 16 grams of fiber. You have red and yellow lentils which can be made into curries. The lentils are typically steamed or boiled and then used in the recipes. That’s why they are healthy too. The same can be had with bread or rice. Kidney beans have high protein content. A serving contains around 5 grams of protein. It also contains a good amount of fiber and resistant starch. ½ cup of these beans contains about 2 grams of this starch. Thus they not only highly nutritious but equally filling satisfying your hunger pangs with little quantity itself. Unprocessed oats is a great cereal to have for its high fiber content. A serving of oats typically consists of 4 to 5 grams of fiber. Since oats are complex carbohydrates you feel full when you eat smaller quantities. Thus weight watchers can keep their weight in check by consumption of this cereal. You should make sure that you buy steel cut or rolled varieties of oats. Since only these varieties have their fiber intact. 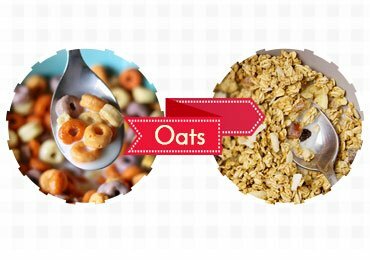 You could have oats as a breakfast cereal or make any cooked dish out of it, similar to cereals. Nuts are natural wholesome foods for weight loss which are loaded with nutrients. They contain protein, fiber and monounsaturated fats. They also contain other vitamins and minerals like vitamin B, zinc etc. Nuts make a good snacking option and ensure that you don’t indulge in unhealthy foods. Some nuts are really good from weight reduction point of view. They should be unseasoned and not flavored. Some of the nuts could be high on calories and hence you will have to consume them in restriction. Some nuts like almonds can be dry roasted or soaked and then consumed. Dark chocolate is lot superior in nutrients compared to other normal chocolates. Normal chocolates are loaded with milk solids and sugar which are calorie dense and add to weight gain. But dark chocolates are rich in antioxidants since they contain a good percentage of cocoa, nearly 75 % to 80 %. Antioxidants reverse your metabolism and help to reduce weight. Consumption of dark chocolates makes you satiated and reduces hunger. In the digestion process it aids in reducing absorption of carbohydrates and fat. The magnesium content in dark chocolates aids in relieving pain. 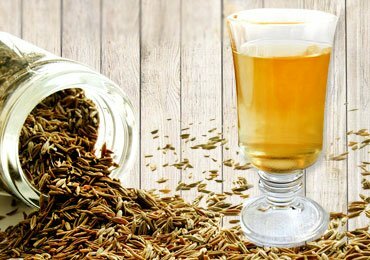 This is a wonder herb for both diabetes and lowering of cholesterol. It helps in balancing of insulin in the body which effectively improves metabolism which brings in weight loss. Being overweight can increase cholesterol levels in the body. The same can be checked by consumption of cinnamon. It is high in polyphenols and hence helps in insulin control. It also helps in bringing down bad cholesterol levels. Powdered cinnamon can be added to fruits and consumed. It can also be added to apple sauce. Pieces of cinnamon can be added to boiling water while making tea. This gives a nice flavor to the tea. Eggs are also a rich source of protein and choline. Hence eating eggs keeps you full for a longer time. The yolk of the egg is supposed to raise cholesterol. But according to some it reduces bad cholesterol. Choline in the eggs is supposed to stop absorption of fat in the body. Having eggs for breakfast is a good way to start the day. It can be consumed by boiling them or making omelets. A typical breakfast could be 2 boiled eggs. You should not consume it if you are allergic to eggs or have been advised not to eat it on medical grounds. Green tea is less processed compared to coffee or tea and hence a healthier option. It helps in burning body fat and helps in weight loss. Reduced waist circumference can also be achieved by consuming 2 cups of green tea every day. 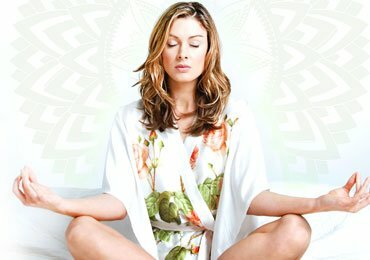 It contains EGCG compound which helps in burning of calories in the body throughout the day. Consumption of foods for weight loss alone will take you a long time to lose weight. Coupled with the right exercise and diet you can lose weight faster. 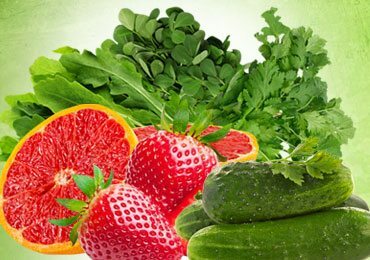 By eating these super foods for weight loss you ensure that you are not starved of any daily requirement of nutrients. The best way to consume them is to eat them raw. This will ensure that most of the nutrients are retained. Otherwise, the next best approach is to steam or boil them. Avoid deep frying them since that will rob off most of its nutrients. Nature has provided abundant food to consume which help in healing and repairing our diseased bodies. What better option do we have? Instead of relying on medicines we can surely eat right and the proper right foods to cure ourselves. Some of them are cheaper like vegetables and fruits. While nuts, fish and seeds could be costly. Thus we could buy what we can afford to keep ourselves healthy.